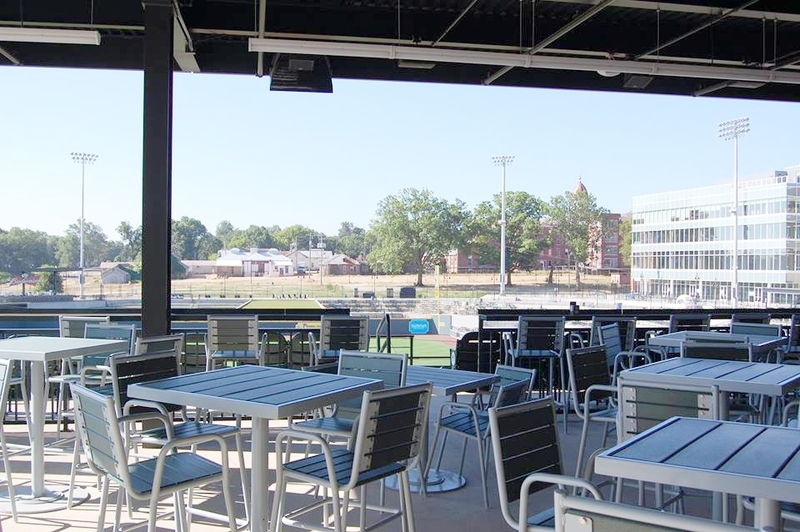 Perched on the third base side of the suite level is the Broad River Balcony - an open-air party deck providing an exclusive atmosphere with room to mingle. This space also has its own bar and two widescreen TV's for presentations. This space is one of the most popular spaces due to the amazing views of the entire ballpark!